Graham Cracker Pudding Cake | Two Guys In a Cucina! 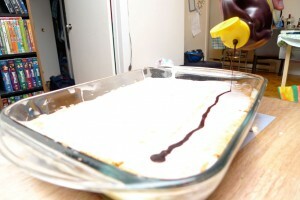 A really tasty and inexpensive dessert that is really a no-brainer. Depending on if you prefer a softer mixture or a more crunchy you can keep this cake a few days to let the crackers absorb the pudding. Next layer of graham crackers. Once again, fill in the gaps. 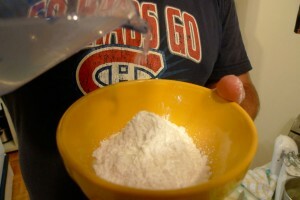 Add icing sugar and add a little water. And mix. 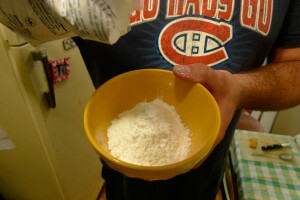 Keep adding water or sugar to get desired consistency. Pour over last layer of graham crackers. 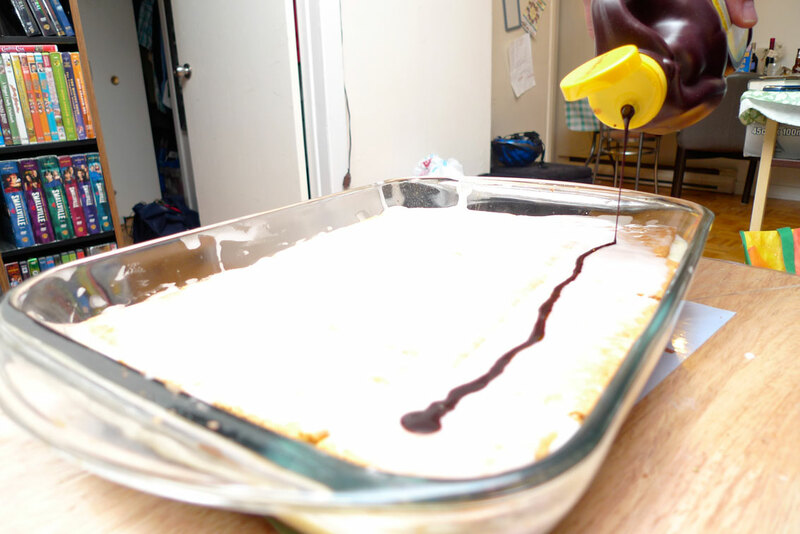 Squeeze chocolate syrup evenly around the cake in straight lines. 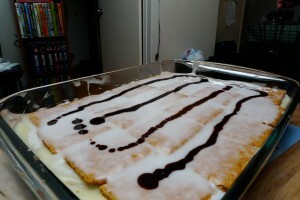 With a fork, pass through the syrup and icing to get a Mille-feuille like design.